7 days a week & also have a catering menu for that special occasion. 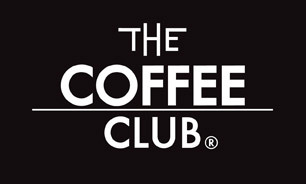 The Coffee Club is Australia’s largest home-grown café group with over 270 stores across Australia, New Zealand, New Caledonia and Thailand, serving more than 40 million cups of coffee every year and employing more than 6,000 staff. The Coffee Club’s menu is very extensive & caters for a wide range of tastes. From all day breakfast with Eggs Benedict, Pancakes or Bacon & Eggs to a hearty lunch with Salads, Burgers, Gourmet Sandwiches & Open Grills The Coffee Club have you covered. The Coffee Club specialise in Coffee’s & teas & also have a wide range of cold drinks available such as Milkshakes, Thickshakes & Frappe’s. It is also the perfect place to indulge with our cake & slices range enough to make your mouth water.